In May 2006 legendary American artist and theatre director Robert Wilson was commissioned by the Gunpowder Park team to develop a new piece of site-specific work. Wilson enjoys international acclaim for his work and his methodology. The Gunpowder Park workshops were remarkable at the time and are one of the few interdisciplinary projects Wilson has undertaken in the UK. On the morning of May 3rd 2006 17 creative individuals, from 7 countries came together for the first time in Gunpowder Park to construct a concept for a new work- large scale, site-specific, collaborative. We were all attracted by the chance to work with Robert Wilson, his particular vision and working practice, the landscape and scale of Gunpowder Park, the diverse talents of the Workshop participants, the lure of leaping off the deep end – and the certainty that whatever did transpire over the next 4 days would be memorable. Thanks to Sherry Dobbin, who has worked with Wilson before, and suggested he consider meeting us, Wilson first experienced Gunpowder Park on a blistering hot May day in 2005 during a fleeting visit, craftily carved out of his schedule of international projects – operas, installations, the Watermill Centre and more. Wilson met the Landscape&Arts Network Services/Haring Woods / Gunpowder Park team and surveyed the wide open spaces of the Park in its lush, mid-summer state. 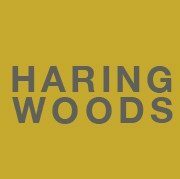 Haring Woods and Wilson share a commitment to the multi-disciplinary creative approach. We also work with the knowledge that the arts are a mechanism for change – both social change and physical regeneration. We both collaborate with international practitioners to make work for our diverse social and ethnic communities and audiences. And, our two sites, Gunpowder Park and the Watermill Center shared a similar heritage of experimentation. With many shared interests and objectives we soon agreed that the prospect of a collaboration between Gunpowder Park, Wilson and Watermill should progress. Woods and Wilson selected and invited the Stage A Workshop participants who would prove their commitment to the exchange and distribution of their ideas – about looking and thinking beyond boundaries, social and political, the boundaries of art and the physical boundaries of Gunpowder Park. They were interested in the way we live, our and their environment and our and their relationship with others. They were about looking out from Gunpowder Park to the rest of the world and bringing the world to Gunpowder Park, ensuring the arts would always be integral to everyday life.